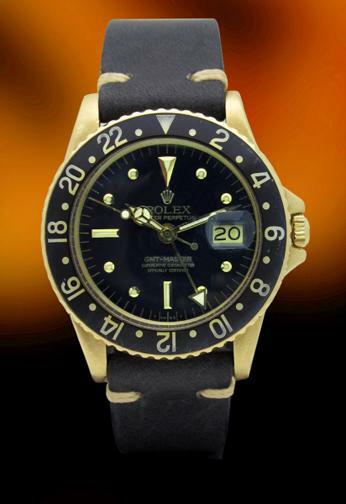 Rolex 1675 - GMT, 18Kt gold case, black dial, excellent condition. This is a BEAUTIFUL VINTAGE ROLEX GMT model 1675. It is in MINT condition. It has a stainless steel case with 18K yellow gold bezel, black insert and black NIPPPLE dial. This is a very collectible set-up for Rolex GMT's. The watch comes with a leather band.